Anderson Brothers Bank is a local institution that began back in the early 1930s, when tobacco farmers needed financing for their crop. During the recession, there wasn’t an option for farmers to secure funding, so the Anderson family offered it to them out of the back of an old tobacco warehouse in Marion County. 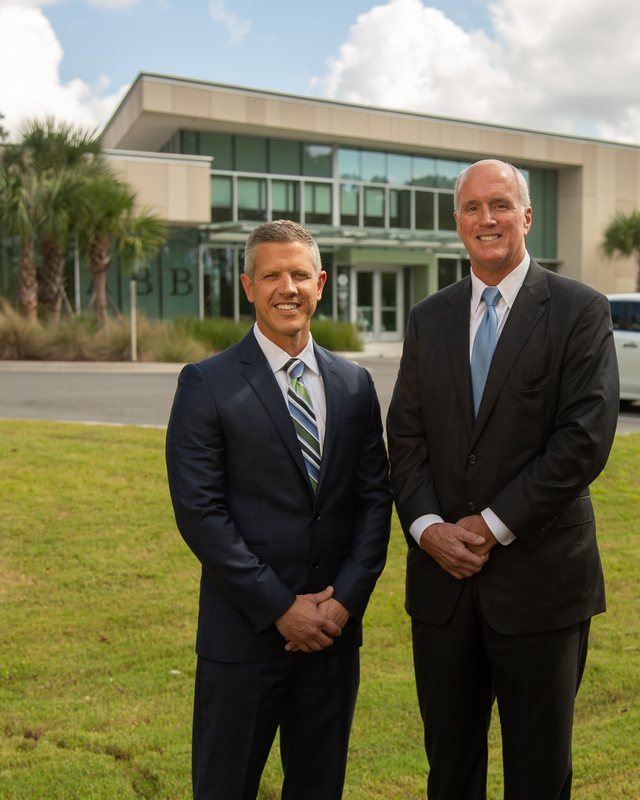 From these humble beginnings, Anderson Brothers Bank has evolved into a full service community bank, with twenty-three branches from North Myrtle Beach to as far south as Summerville and inland to Florence, with everything that you’d expect from a modern day bank— 24 hour ATMs, online banking, and an advanced mobile app. 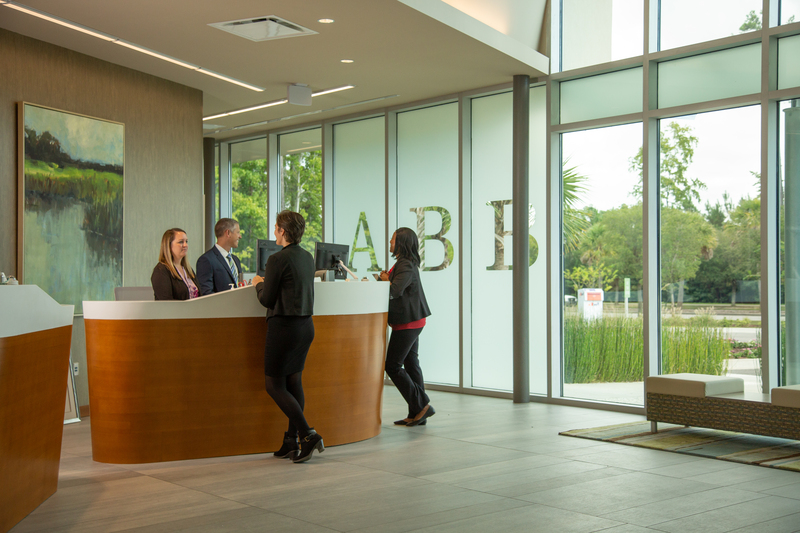 They opened their newest branch in the spring of 2017 in Market Common, and hope to unveil their twenty-fourth location in the Murrells Inlet area this year. The bank has had a temporary headquarters on Oleander Drive for the past five years; they are currently constructing a branch on Grissom Parkway which will be the new center for the Myrtle Beach area— set to open in April 2019. Just as it was almost a century ago, today, Anderson Brothers Bank is still locally owned and run by the Anderson family. The third generation team includes: David Anderson as president, Tommy Anderson as vice president, and Neal Anderson as the chairman of the board. 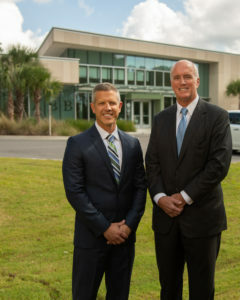 Bryan Lenertz has been working for Anderson Brother’s Bank for the past seven years as the Horry County Executive, overseeing eight branches throughout the region. He chose to work for Anderson Brothers after meeting David, the president. “He was progressive, with new ideas, and a thinking-outside-the-box mindset,” Bryan says. “It’s a really neat bank to work at because Mr. Anderson isn’t a micro manager. He gives people the space to make their own decisions, and if you make a mistake, it’s seen as an opportunity for growth, to do something differently next time. There’s a lot of freedom and autonomy to do your job and try to do it well in your own way. As a result of that, each of our branches has a slightly different feel. All of them still offer the same excellent service, they just have a different feel relative to their geographic location and who works there. In addition to the new branches, this year, Anderson Brothers is also remodeling their North Myrtle Beach branch inside and out. ITMs (Interactive Teller Machines) will eventually replace ATMs at all of the bank’s branches. 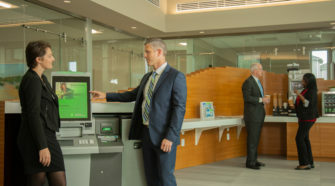 They connect patrons via video call to the live, local call center staffed by Anderson Brothers Bank employees— ideal for those who are in a hurry and don’t have time to go into the bank for service but still need personalized assistance. 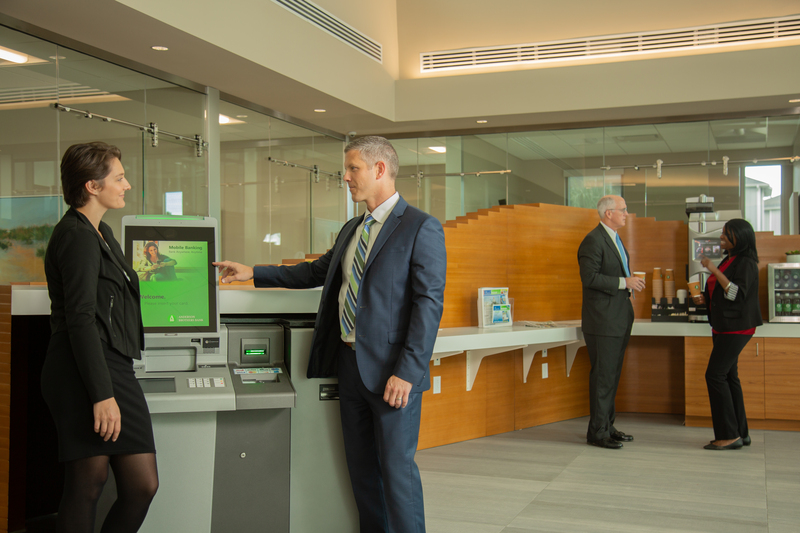 The machines dispense cash like an ATM, but additionally, they can receive loan payments and accept numerous check and cash deposits at once. 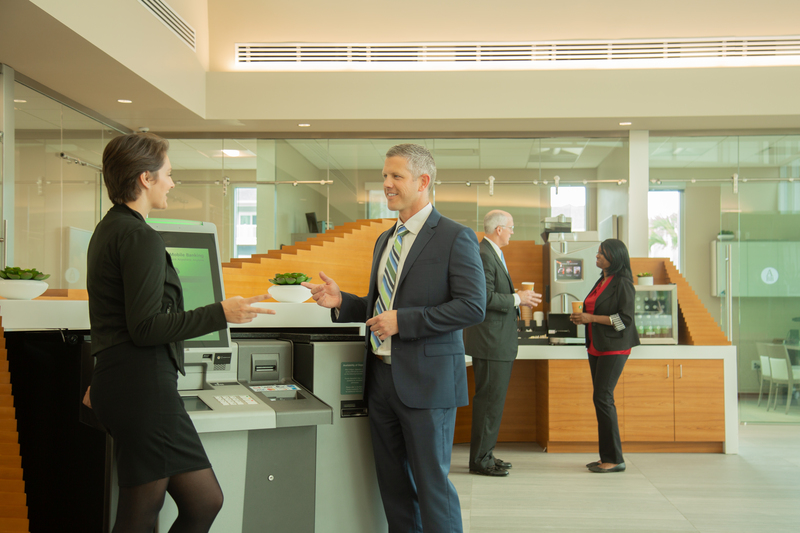 “Over the next eighteen months, as our technology evolves, we’ll be replacing all of our ATMs across our entire footprint,” Bryan says. “Some of our branches have been designed to add more than one. 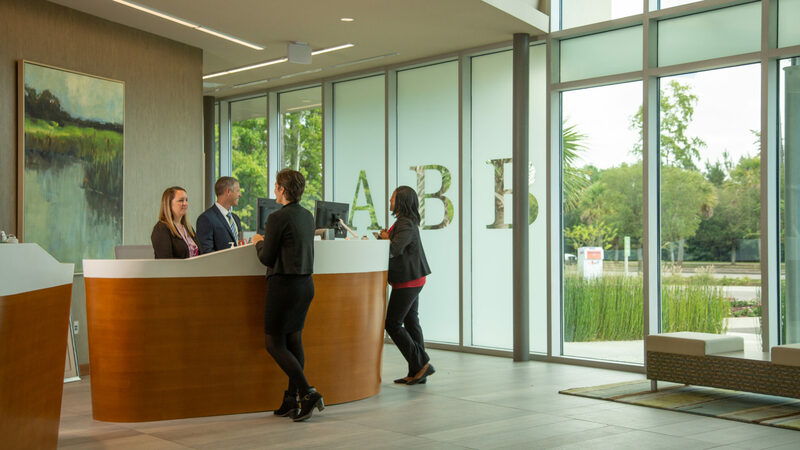 Also part of their culture is their commitment to helping out community members with lower credit scores with consumer lending. Anderson Brothers helps lenders with credit scores of 550 and up to secure lower interest loans more than any other bank in the area. “Often people have had a setback like an accident or illness, and they’re out of work,” Bryan says. “And they think they will only be able to procure a loan at a higher interest rate. We can help people who live in this area to get back on their feet.